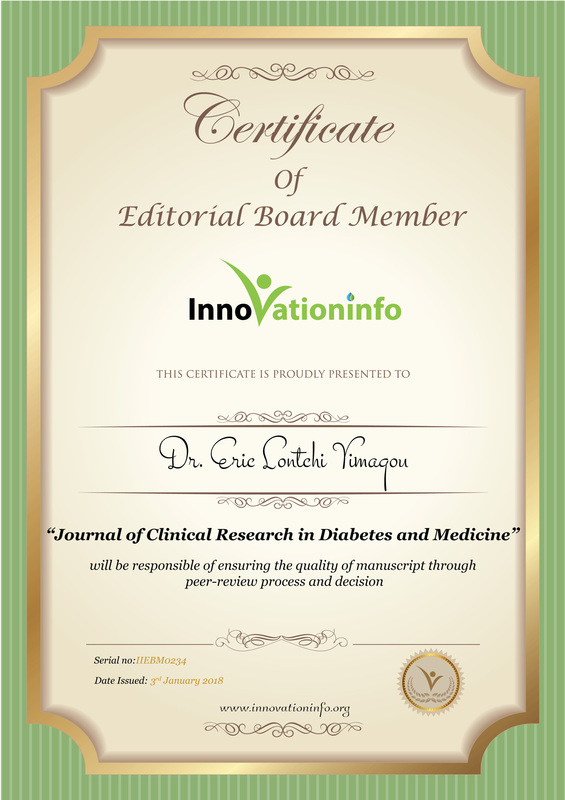 Research Interest: Effects of nutrient deficiency and excess on insulin secretion and insulin resistance; Nutritional regulation of adipose tissue inflammation, and the regulation of hepatic glucose production in diabetes. 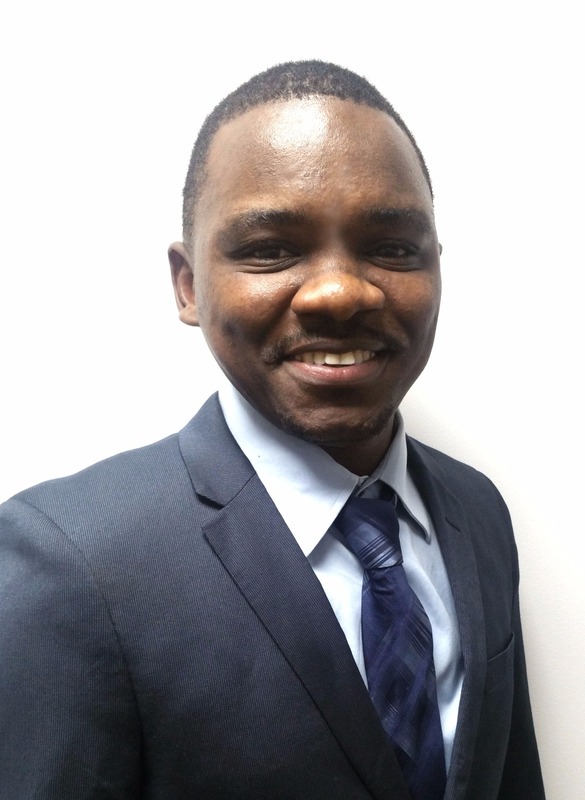 Biography: Dr Eric Lontchi Yimagou, PhD, MPH, is currently a Postdoctoral Research Fellow in the Diabetes Research Center at the Albert Einstein College of Medicine in New York (USA). He earned his PhD in Physiology and Pathophysiology from the University of Pierre and Marie Curie in 2015 (Paris, France). His PhD thesis focused on environmental factors associated with diabetes in Africa. Specifically, he investigated the role of Human herpes virus type 8 infection in ketosis-prone atypical diabetes that is characterized by a phasic insulin dependence and affects mostly populations of African descent. His PhD was preceded by two Master degrees: a Master of Public Health (MPH) at the Faculty of Medicine and Biomedical Sciences of the University of Yaoundé I (Cameroon, 2014), with a research evaluating the effect of free diabetes care offered by "Changing Diabetes in Children" Project on clinical characteristics and on health-related quality of life of youths living with type 1 diabetes in Cameroon; and a Master of Science (M.Sc.) in Biochemistry at the Faculty of Science of the University of Yaoundé I (Cameroon, 2010), with the research topic “Metabolic effects of quail eggs in diabetes-induced rats: comparison with chicken eggs“. He also received a training in Public Health Nutrition in 2016 at the University of Paris 13 (Paris, France). He is a recipient of the Henry Christian and the Eastern Regional Scholar Awards from the American Federation for Medical Research (USA, 2017), a fellowship grant from l'Institut Servier (Paris, 2015), a fellowship grant from the French Government (Paris, 2014), the Jean Claude Mbanya Fellowship Award from the African Diabetes Association (Cameroon, 2014), and the President Paul Biya University Academic Award for Excellence (Cameroon, 2009, 2010). Atogho-Tiedeu B, Guewo-Fokeng M, Lontchi-Yimagou E, Jean Claude Mbanya, Eugene Sobngwi, Wilfred Fon Mbacham. Association of rs4731702(C/T) Polymorphism of Kruppel like Factor 14 (KLF14) Gene with ketosis-Prone Diabetes (KPD) in a Cameroonian Population. J Glob Diabetes Clin Metab. 2017 September 04, 2(3). Carey M, Gospin R, Goyal A, Tomuta N, Sandu O, Mbanya A, Lontchi-Yimagou E, Hulkower R, Shamoon H, Gabriely I, Hawkins M. Opioid Receptor Activation Impairs Hypoglycemic Counterregulation in Humans. Diabetes. 2017 Aug 31. Lontchi-Yimagou E, Mapa-Tassou C, Dehayem MY, Essi MJ, Saji J, Takogue R, Sobngwi E, Mbanya JC. The effect of free diabetes care on metabolic control and on health-related quality of life among youths with type 1 diabetes in Cameroon. BMJ Open Diabetes Res Care. 2017 Jun 30; 5(1). Mapa-Tassou C, Fezeu LK, Njoumemi Z, Lontchi-Yimagou E, Sobngwi E, Mbanya JC. Use of medical services and medicines attributable to type 2 diabetes care in Yaoundé, Cameroon: a cross-sectional study. BMC Health Serv Res. 2017 Apr 11;17 (1):262. Lontchi-Yimagou E, Tanya A, Tchankou C, Ngondi J, Oben J. Metabolic effects of quail eggs in diabetes-induced rats: comparison with chicken eggs. Food Nutr Res. 2016 Oct 6; 60: 32530. Lontchi-Yimagou E, Nguewa JL, Assah F, Noubiap JJ, Boudou P, Djahmeni E, Balti EV, Atogho-Tiedeu B, Gautier JF, Mbanya JC, Sobngwi E. Ketosis-prone atypical diabetes in Cameroonian people with hyperglycaemic crisis: frequency, clinical and metabolic phenotypes. Diabet Med. 2016 Sep 22. Lontchi-Yimagou E, Tsalefac M, Tapinmene LM, Noubiap JJ, Balti EV, Nguewa JL, Dehayem M, Sobngwi E. Seasonality in diabetes in Yaounde, Cameroon: a relation with precipitation and temperature. BMC Public Health. 2016 Jun 6; 16: 470. Nguewa JL, Lontchi-Yimagou E, Agbelika F, AitDjoudi M, Boudou P, Choukem S, Sobngwi E, Gautier JF. Relationship between HHV8 infection markers and insulin sensitivity in ketosis-prone diabetes. Diabetes Metab. 2016 Jun 1. Mbanya A, Ngandeu A, Kamwa V, Donfack OT, Lontchi É, Leke R, Mbanya JC, Sobngwi E. Metabolic features associated with positivity to ZnT8 autoantibody in sub-Saharan African young-onset diabetes patients. Diabetes Metab. 2016 Jun;42(3):204-6. Balti EV, Ngo-Nemb MC, Lontchi-Yimagou E, Atogho-Tiedeu B, Effoe VS, Akwo EA, Dehayem MY, Mbanya JC, Gautier JF, Sobngwi E. Association of HLA class II markers with autoantibody-negative ketosis-prone atypical diabetes compared to type 2 diabetes in a population of sub-Saharan African patients. Diabetes Res Clin Pract. 2015 Jan;107(1):31-6. Nguewa JL, Lontchi-Yimagou E, Riveline JP, Choukem SP, Balde N, Mbanya JC, Sobngwi E, Gautier JF. Infections virales et diabète en Afrique. Médecine des Maladies Métaboliques. Vol. 9 - N°2, Février 2015. Sobngwi E, Kengne AP, Echouffo-Tcheugui JB, Choukem S, Sobngwi-Tambekou J, Balti EV, Pearce MS, Siaha V, Mamdjokam AS, Effoe V, Lontchi-Yimagou E, Donfack OT, Atogho-Tiedeu B, Boudou P, Gautier JF, Mbanya JC. Fasting insulin sensitivity indices are not better than routine clinical variables at predicting insulin sensitivity among Black Africans: a clamp study in sub-Saharan Africans. BMC Endocr Disord. 2014 Aug 9; 14: 65. Lontchi-Yimagou E, Sobngwi E, Matsha TE, Kengne AP. Diabetes mellitus and inflammation. Curr Diab Rep. 2013 Jun;13 (3):435-44. David A Kob Ye Same, Serge C Billong, Joseph Fokam, Pavel Tsamo Momo, Salmon Amadou, Marinette Ngo Nemb, Gabriel Loni Ekali, Eric F Lontchi, Rita Ngufor, Floribert Mabouli Nkomom, Yannick Kamga, Glory Bimila, Josée Oumbe, Nadia Ampuolia, Jean B Elat Nfetam, AC Zoung- Kanyi Bissek. Survival Analysis among Patients receiving Antiretroviral Therapy in Urban and Rural Settings of the Centre Region of Cameroon. Health Sciences and Diseases, [S.l. ], v. 17, n. 4, oct. 2016. ISSN 2309-6535.